Antiques stores litter West London, selling second-hand gems like stylish mid-century modern furniture, French tapestries from the 1800s and vintage sports memorabilia. 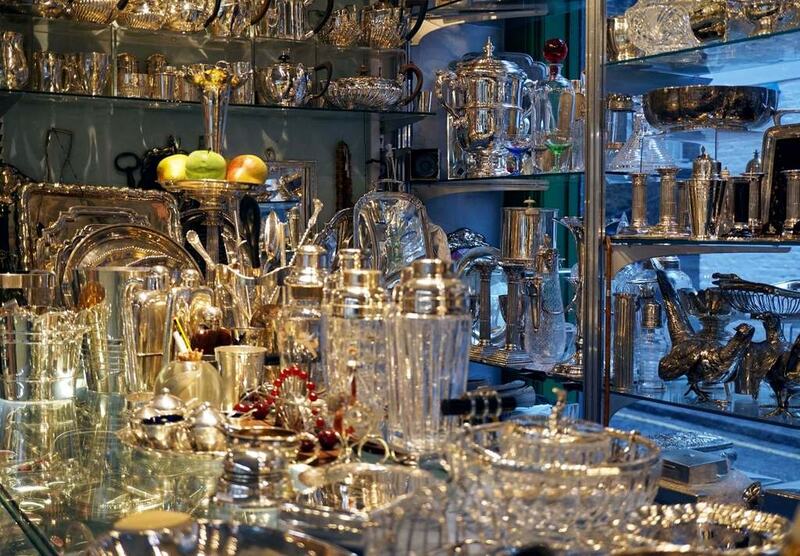 Read our guide to the best antiques shops in this suave area of the capital. Set up in 2007, this antiques shop in Kensal Rise specialises in antiques from the 20th, 19th and 18th centuries. The shop currently stocks mid-20th century Italian armchairs, a 1970s convex mirror and a mahogany desk from the 1800s. It has products of different styles and from lots of different countries, including England, France, Italy, Sweden and America. Based in Kensington, Butchoff Antiques sells furniture, mirrors, lighting, painting and decorative objects from the 18th and 19th centuries. The store believes in stocking ‘exceptional, exhibition-quality’ pieces – so expect the grandiose and the decadent – from Britain and elsewhere in Europe. Think of grand, carved wood display cabinets, ornate mirrors and Gothic-style chandeliers. Billed as London’s ‘largest indoor market for antiques’, this building – complete with an Egyptian-style art deco façade – has more than 75 dealers selling vintage clothing, 20th-century furniture and collectibles across four floors. Objects on sale have included 1920s art deco cufflinks (yes, really), a 1950s American telephone converted for use in the UK and a vintage Ruinart Champagne display bottle. Make sure you check out the rooftop café, which has great views across London. The market was opened in 1976, after the building was bought by factory owner Bennie Gray. Like Alfies, Bennie Gray was also behind Grays Antique Centre. Gray bought the Grade II listed building, designed by Edwardian architect Reginald Bloomsfield, before renovating it, and opening Grays in 1977. Nestled in the heart of Mayfair, the centre is home to 200 antique and vintage dealers. It’s got a diverse selection of antiques, jewellery, collectibles and vintage clothing from a wide range of time periods and styles. Head to Alice’s on picturesque Portobello Road for a hotchpotch of vintage porcelain, antiques, mirrors, artworks and furniture. Visitors are enticed into this pokey, red-painted shop by the goods piled up outside. Make sure you combine a visit with a rummage through Portobello Road Market, which is open every day except Sunday (although the best day to visit is Saturday). The market runs along the half-mile stretch of Portobello Road, and is packed with more than 1,000 dealers selling a wide range of collectibles, including typewriters, old coins, retro cameras, vintage clothes and tea sets. Also on Portobello Road is Henry Gregory, open since 1970, which boasts a selection of silverware, vintage luggage, old sports memorabilia and decorative items. Shop here for leather trunks to decorate your living room and tennis rackets from the 1920s. This store on Battersea Park Road specialises in mid-20th century furniture and lighting. The shop stocks furniture by French and Italian designers, including Maison Charles, Maison Jansen, Paolo Buffa, Gio Ponti, Willy Rizzo and Osvaldo Borsani. Lighting is stocked from renowned designers like Murano, Venini and Fontana Arte. 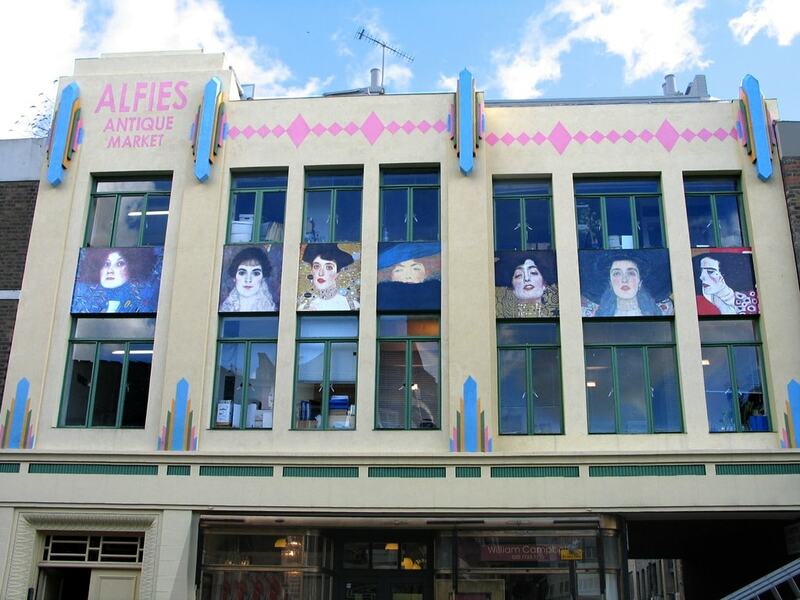 The enormous Furniture & Arts Building in King’s Road showcases antiques from the 20th century. Spread over three floors, this 30,000-square-foot space houses more than 20 dealers selling silverware, furniture, jewellery, paintings, ceramics and glass. The vibrant, green-painted building was previously known as the ‘Furniture Cave’, which is a good metaphor for how it feels inside. Guinevere has been going since 1963 and is renowned for selling stylish antique furniture, art, textiles, lighting and decorations. The shop was founded by French born Genevieve Weaver and is now run by her two sons Kevin and Marc. The store applies a modern approach to its antiques, and so some of the pieces have been restored to reflect their former glory – such as a pair of French armchairs dating to the 1860s, which have since been re-upholstered. Another great antiques shop in King’s Road is Julia Boston Antiques. This store offers a selection of high-quality French antiques, lighting, furniture and artworks. 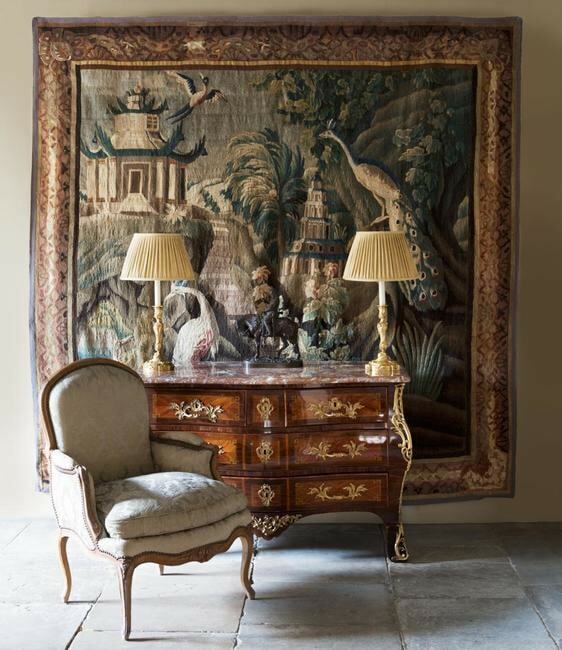 Stock includes 18th- and 19th-century furniture, as well as tapestries and paintings dating from the 17th century. 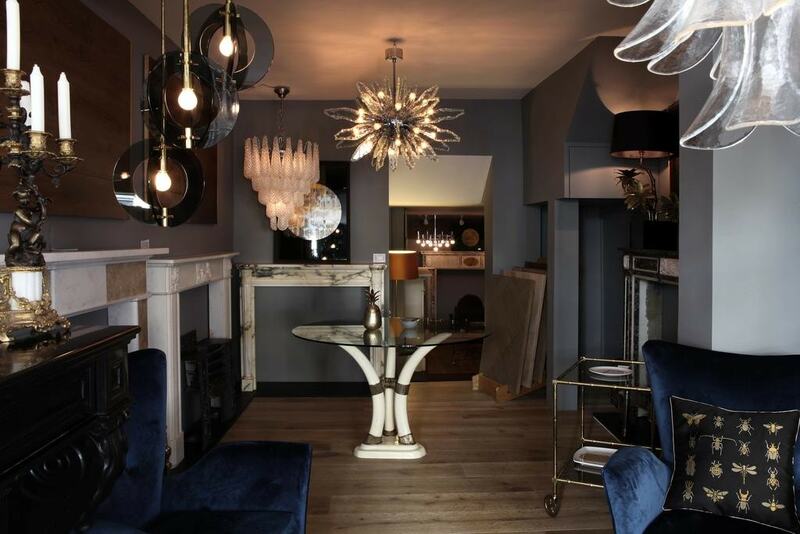 The shop was founded by antiques expert Julia Boston, who has also designed a line of table lamps, alongside its vintage collection of lighting.